Production Company : Illumination Entertainment. Genre : Science Fiction, Adventure, Animation, Comedy, Family. 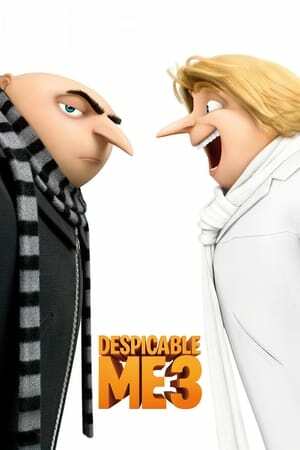 Watch Despicable Me 3 2017 Online 123movies, Watch Despicable Me 3 2017 Online 123movie, Watch Despicable Me 3 2017 Online Free Viooz, streaming Despicable Me 3 film, Watch Despicable Me 3 2017 Online Megashare, download full film Despicable Me 3, watch full film Despicable Me 3 2017 online, Streaming Despicable Me 3 2017 Online Free Megashare, Watch Despicable Me 3 2017 Online Free hulu, movie Despicable Me 3 streaming, Watch Despicable Me 3 2017 Online Free megashare, Despicable Me 3 movie download, Watch Despicable Me 3 2017 Online Putlocker, Watch Despicable Me 3 2017 Online Free 123movie, watch full Despicable Me 3 film online, film Despicable Me 3 2017 online, Watch Despicable Me 3 2017 For Free online, watch full Despicable Me 3 movie, Watch Despicable Me 3 2017 Online Free, Despicable Me 3 movie trailer, watch Despicable Me 3 2017 movie online now, Watch Despicable Me 3 2017 Online Free netflix, Despicable Me 3 2017 Watch Online, Despicable Me 3 movie streaming, Watch Despicable Me 3 2017 Online Viooz, film Despicable Me 3 2017 streaming, live streaming movie Despicable Me 3, watch full Despicable Me 3 film, Streaming Despicable Me 3 2017 For Free Online, watch full Despicable Me 3 2017 movie online, download movie Despicable Me 3, streaming movie Despicable Me 3, trailer movie Despicable Me 3, Watch Despicable Me 3 2017 Online Free Putlocker, Despicable Me 3 live streaming movie, streaming Despicable Me 3 movie. Theresa Thompson talk to Felicia Dupuch about some of the Community programs at the Weingart located in Skid Row. Long Time Homeless Activist Ted Hayes and Poet Carman Vega with Musical Guest Jessica and Juan Cardenas discuss Skid Row as it relates to mental illness, community activists, service providers and many other topics relating to the Skid Row Community. Exposing the misuse of Veterans land at the Los Angeles VA and Secretary McDonald’s failed leadership including lying, cheating and stealing during his recent trip to Skid Row. Veteran homelessness and Veteran suicide are major problems that need state of emergency attention. Pastor Brian Eklund and some seminary student visit The Qumran Report to discuss Skid Row and the Religious Community. veterans Irene Cruz and Theresa Thompson of Veterans Advocacy Connection talk about Veteran Resources and other help for female veterans.